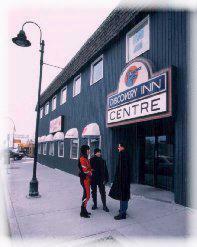 Located on Franklin Avenue in Yellowknife, The Discovery Inn is just steps away from business and government centers in Yellowknife in the North Slave county of Canada. 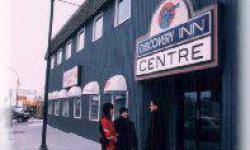 The Discovery Inn is only a short distance to shopping facilities restaurants and the city's many attractions in Yellowknife, North Slave county. This newly-renovated 41 bedroom Hotel is located The Discovery Inn Centre which includes several retail outlets and a licensed family restaurant. Guest are provided with complimentary parking equipped with energized stalls. Enjoy comfort and convenience when traveling for business or pleasure at The Discovery Inn.